2.4.5 "Ghost in the Machine"
2.4.18 "Enemy at the Gate"
For an episode-by-episode summary, see Ronon Dex: Stargate Atlantis Season 2 History. For an episode-by-episode summary, see Ronon Dex: Stargate Atlantis Season 3 History. 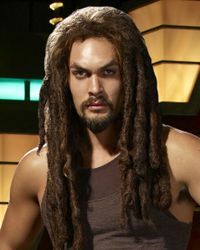 For an episode-by-episode summary, see Ronon Dex: Stargate Atlantis Season 4 History. 11. "Be All My Sins Remember'd"
05. "Ghost in the Machine"
20. "Enemy at the Gate"
This page was last edited on 29 November 2015, at 21:06.